Electrical fires are very different from other fires. They cannot be extinguished the same way and are not caused for the same reasons. They are not quite as simple to deal with, but can easily be prevented. Our frigid temperatures and harsh winter weather has us maxing out our use of electricity in our homes. As often as these fires occur, there is no good excuse for lack of knowledge on how to handle them. It is important that you know how to prevent electrical fires, and how to extinguish them as well. U.S. fire departments respond each year to an estimated average of 47,820 reported U.S. home fires involving electrical failure or malfunction. These fires result in 455 civilian deaths, 1,518 civilian injuries and $1.48 billion in direct property damage. Roughly half of home electrical fires involve electrical distribution or lighting equipment. Nearly half of home electrical fires involve equipment such as fans, washers, dryers, space heaters and air conditioners. The months with the most electrical fires are December and January because of the increased use of heating appliances and lights. Most of these fires begin in the bedroom, however, the highest number of deaths occur from fires that begin in the living room, family room or den. There are numerous ways that electrical fires can begin in the home. We are accustomed to using more electricity than we realize, and most of us probably don’t do all we can to protect ourselves. If electrical cords are not in good condition, they can start a fire. 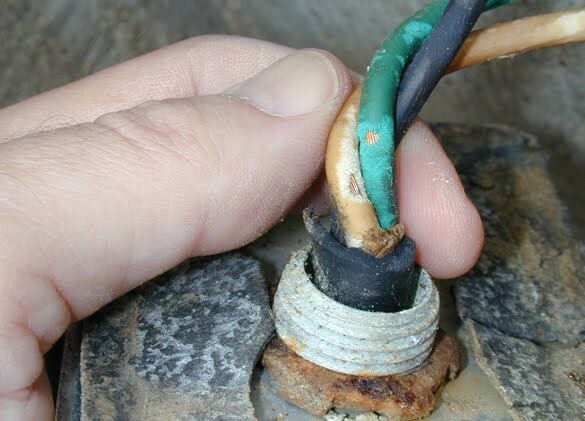 They need to be insulated in rubber, so make sure all cords have the rubber still intact around the wiring. If not, you need to get them replaced. Appliances with worn or frayed cords can send heat onto flammable surfaces like floors, rugs or curtains that can start a fire that spreads quickly. Most of the time electrical fires begin because appliances are outdated or the outlets being used are faulty. Sometimes fires start because of faulty appliance cords, receptacles and switches. Running cords underneath carpeting or rugs can cause a fire. Don’t ever remove the grounding plug for a cord so that it can be used in a two pronged outlet. The reason plugs have that third prong is so they are only used in outlets that can handle the amount of electricity the appliance draws when in use. Light fixtures, lamps and bulbs can cause fires, especially if the wattage of the bulb you are using is higher than what the fixture recommends. Also, placing blankets or any type of flammable material over a lamp can be dangerous. The heat from the bulb can easily ignite the material. Faulty lamps and fixtures, of course, can also start a fire. Another common source of an electrical fire is the television. I personally have experienced a television fire in my home, and it was quite startling. In the middle of the night, I woke to a loud “boom” and a house full of smoke! During a thunder and lightning storm struck our outside cable box and electricity traveled through it to the television. Because the television was on, it blew up. Not realizing there was such a storm brewing while I was sleeping, I hadn’t unplugged it. Lesson learned. TV fires happen for various reasons and there are ways you can prevent them. First, never set anything, like flowers, cards or decorations, on your TV. Televisions need room for the air to circulate around them. As it runs, it gets hot and the heat around it needs room to escape. Make sure your television is not near curtains or other fabric material. If for some reason it explodes or catches on fire, these materials will quickly make the fire spread in your home. Placing your TV in a cupboard or shelf is not a good idea, unless there is plenty of room for the air around to circulate. If you leave on vacation, or if a storm like the one I described begins, unplug your TVs and all other audio or visual appliances. Keep the cords of your TV, cable box, and other appliances untangled. If your television explodes, quickly unplug it and put out any flames with a fire extinguisher. Then, if there are any flames, put them out with your fire extinguisher. If your house is more than 20 years old, it may not have the capability to handle the amount of electricity required today for today’s technology. If circuits are overloaded, breakers should be triggered, but in older houses the breaker box could be faulty. Always have your electrical wiring checked out when moving into an older home. Most importantly, don’t ever try to put out an electrical fire with water! The electricity from the fire can shoot through the water and shock you. This can be deadly, so make sure all family members are aware of this. Instead, if possible, you want to unplug whatever is on fire to stop the flow of electricity. If it is too dangerous to unplug, do not attempt to do so. For a free consultation regarding serious burn injuries that you believe were caused by the wrongful conduct of another individual or company, call the Burn Injury Firm toll free at 866-293-2615 to speak with an experienced attorney.